Stieler Technologie- & Marketing-Beratung is a boutique consulting firm specialized in B2B market research, strategic management and business development services for companies in the engineering industry. Since our founding in 1995, STM has successfully established itself as a competent management advisor in market, technology and future related questions. We combine country-specific competencies for Europe, Northern America, Brazil, Russia and India in our international team. In 2011, we opened a subsidiary in Shanghai to better serve our clients' needs in China. Among our clients are some German blue chip enterprises listed on the DAX, worldwide operating companies from the German Mittelstand, as well as corporate groups from other European countries, Northern Amerika and Asia as well as investment firms. Joachim Stieler has over 27 years of experience in B2B market intelligence and the consulting of international technology companies. 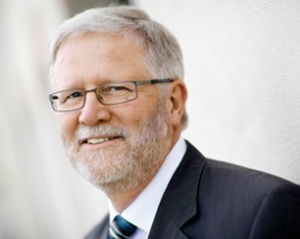 Before founding Stieler Technologie- & Marketing-Beratung, he held leading positions with a daughter company of Sandoz AG (Head of consulting branch Germany/Switzerland) as well as Prognos AG (Innovation and technology consulting, Head of the engineering and automotive branch). 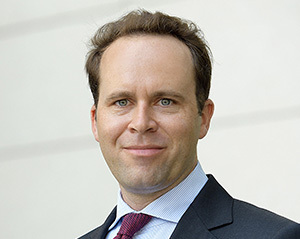 Mr. Stieler studied at the University of Karlsruhe and INSEAD Business School (Fontainebleau). He completed his studies with a degree as graduate industrial engineer (Dipl.-Wirtsch.-Ing.). Furthermore, he holds a professorship at the Baden-Wuerttemberg Cooperative State University. Mr. Stieler is married since 1980 and has four children. Georg Stieler started STM’s Shanghai office in 2011. He has worked with foreign suppliers and operators of robotics, sensors and CNC-systems in the region. Therefore, he has gained extensive knowledge about the Chinese automation industry and has become a respected expert in this field. Other focal points of Georg’s work in China are agricultural and construction machinery. Georg has been quoted in leading German and international media, such as Frankfurter Allgemeine Zeitung, Handelsblatt, Wirtschaftswoche, Deutsche Welle, Automation.com, Robotics Business Review, etc.) and is a sought-after speaker (e.g. Industrial Internet Consortium (IIC), RoboBusiness Conference Silicon Valley, the German Engineering Federation (VDMA), the German Electrical and Electronical Manufacturers’ Association (ZVEI), TEDx Shanghai, and the China Association of Agricultural Machinery Manufacturers (CAAMM)). Before joining STM, Georg Stieler worked as the Assistant to the CEO of NAWARO BioEnergie AG, a leading company in the bio energy sector. Georg Stieler studied business and economics at the University of Mannheim, Tongji University Shanghai and graduated with a B.A. in Corporate Management & Economics from Zeppelin University Friedrichshafen.